Amos Nachoum is a master of photographing big animals and Expedition leader to remote locations worldwide. 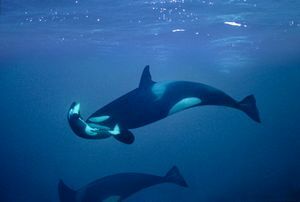 Amos’s photographic vision and expedition leadership is to raise awareness of the ocean giants in their natural habitats. His images and stories reflect respect and compassion for the endangered, threatened animals and wilderness. 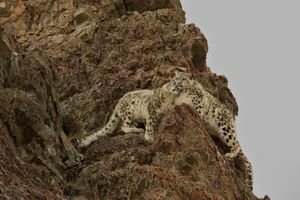 His photographs strive to dispel the myth of “dangerous” wildlife and his leadership expeditions is to share with other people first hand the joy of harmonious interactions between man and animal. Amos is an explorer. 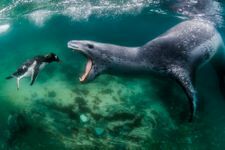 He leads wildlife photography expeditions with his company BigAnimals.com. He his guests free dives with blue whales off the Eastern Pacific, scuba dives in the Okavango delta with crocodiles and dive along with the great white shark, Leopard Seal in Antarctica and Polar bear and Orca too, in the high Arctic. Since 1980, he has explored every significant body of water from the North Pole to Antarctica. Amos's photos and essays have appeared in publications including National Geographic, Time, Life, The New York Times, Condé Nast Traveler, Le Figaro, Terra Sauvage, Airone, Der Spiegel, Unterwasser, Explorer Journal and Fifty Fathoms. Amos's photography won the Nikon contest. 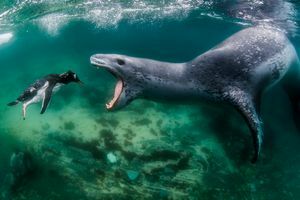 He is a winner in the BBC Wildlife Photographer of the Year Award, animal behavioral category. In 2012 he placed first in the APA, American Photography Artist competition. In 2015 he was named the Diver of the year by Our World Underwater organization. In 2016 First place, at IPA, International Photography award. 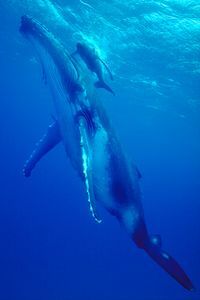 At this time Amos is leading an international conservation effort, a none for profit – Ocean Giants Legacy project, Documenting the life of 35 of Ocean Giants in the highest imaging technology it is not late to save what is left on our planet – what do you want to be remember for? Join the legacy project. Amos lives in Pacific Grove CA, USA. 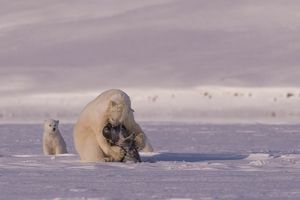 He photographs with Nikon camera and Seacam housing and strobes.